Trips to the mall are never just something to do when it’s quiet on Sunday anymore. Now they’re a full blown expedition, complete with planning for diapering, feeding supplies and pit-stops for both mom and baby. I’ll be the first to admit it – In the first few months when my body was changing and I needed new jeans, I put it off for at least six weekends in a row. The thought of being stuck in a mall for hours looking for jeans was enough to keep me in leggings for longer than I wanted. In my most recent trip out for baby clothes, I discovered that Sears has nursing rooms for their customers. Add it to the list of things I never noticed until I had a baby. 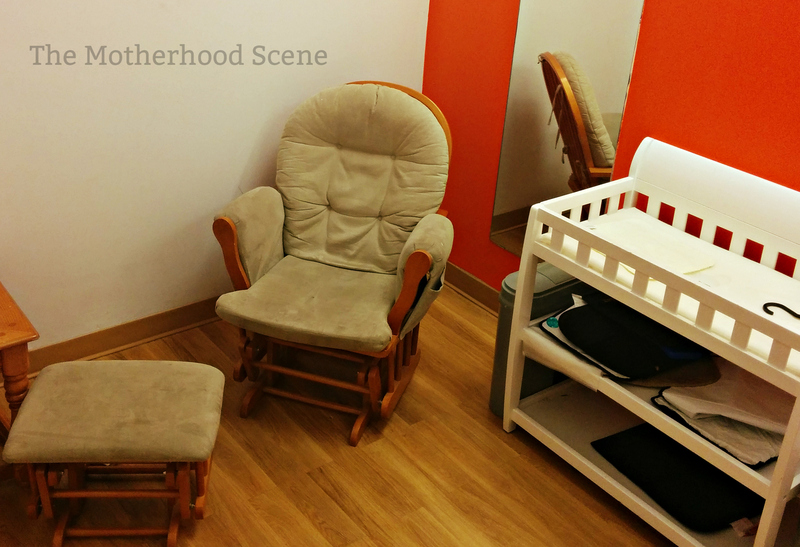 No matter whether you breastfeed or formula feed, knowing that there is a nursing room is available is a piece of mind that you can have some quiet time out with your baby if they’re feeling overwhelmed, want some comfort or a quiet space to feed. The space is large enough to take your full size stroller in with you and comes equipped with change tables and a comfortable nursing chair and footstool. It’s tidy and quiet, which is ideal for little ones that aren’t used to the noise when feeding in a busier area. Nursing rooms are available on the second floor at the Sears department store in the Oshawa Centre (419 King Street West, Oshawa) and also on the lower level at the Sears in the Pickering Town Centre (1355 Kingston Road, Pickering). Cost: The nursing room is free of charge.